Barley is called barley from the polished grains of barley. It is perfect for diet food, added to soups, and is also used for side dishes and individual dishes like pilaf. To grains are soft, retaining its elasticity, cereals cooked a long time - up to 1.5 hours pre-soak. To speed up the process will help of modern kitchen appliances for example, slow cooker. Barley - barley is very useful. Barley is rich in fiber, b vitamins, selenium and proteins. 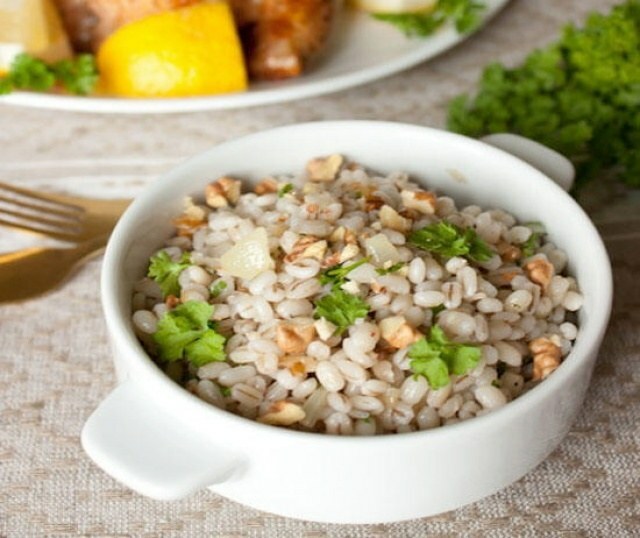 In addition, pearl barley is easy to digest, low in calories and highly nutritious. Porridge from barley makes a wonderful dish for Breakfast, a side dish to meat or fish dishes. It is especially tasty with gravy - meat, vegetable, or mushroom. Among the advantages of barley can be noted and its availability. This grain is one of the cheapest. Despite its many advantages, barley rarely appears on the tables of Russians. The reason the cooking time. How many will cook porridge, depends on the type of grits - cooking time may reach 2 hours, and before cooking barley, it is recommended to soak in cold water. The seeds must swell and be soft after boiling, while maintaining a pleasant elasticity and beautiful "pearl" look. To speed up the process, you can boil grits in the microwave or a double boiler. But the most convenient option - the slow cooker. It allows you to make a crumbly topping, a tasty porridge or pilaf with vegetables and meat. The whole process will take 60-80 minutes, but do not require your participation - it is important to choose the right cooking mode. In a slow cooker porridge can be prepared in advance and leave in the heating mode. Try to cook a delicious crumbly porridge of pearl barley. It can be eaten with butter or vegetable oil, to use as a garnish or filling soups. To measure groats and water the special cups for the slow cooker. - butter for the filling. Cereal rinse thoroughly in several waters. If you are planning to cook porridge for Breakfast, with evening put cereal in a bowl multivarki and fill it with cold water. Leave the barley to swell. The process of swelling of granules can be accelerated if you pour washed cereal with boiling water and leave for half an hour. Then cook the oatmeal in the usual way. In the morning add in remaining cereal, salt and sugar. Close the lid and turn on the mode "Buckwheat" or "Porridge" - the cooking will take 60-80 minutes. Ready barley porridge can be left on the heating or immediately lay on portions plates. Add into the dish a piece of butter. On request it can be sprinkled with finely chopped greens. If you prefer sweet porridge, pour the finished barley liquid honey.